If you plan to use a floorboard, linoleum or carpet as a floor covering, then you need to build a reliable and even base for these materials, which can be helped by plywood that can be laid on the surface of the concrete floor. . If you glue the plywood to the screed, this will allow you to get a budget option for leveling the floor in a short time. Plywood will hide any unevenness of the surface of the concrete base. This plus, peculiar to the material, is not the only one; plywood also has excellent thermal insulation characteristics, therefore it will warm the concrete floor with low thermal insulation characteristics. 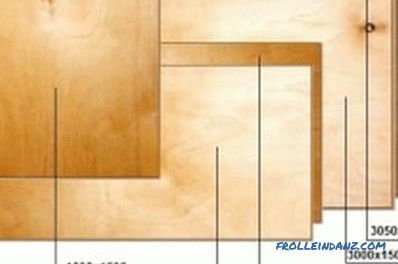 Plywood flooring is popular for its ease of installation and the low cost of the necessary materials. Laying plywood sheets should be done on an even basis. This requires an early check of the horizontal floor before starting work. If heights differences exceeding 2 mm were observed, then the coupler should be filled in additionally or completely re-equipped. Laying should be done after the solution is completely dry, which can take about 45 days. The screed must have a certain level of humidity. 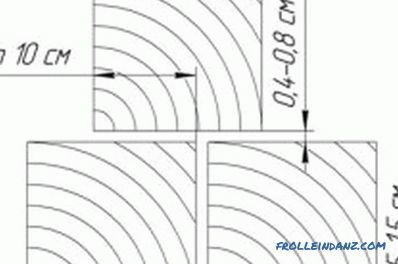 To check this characteristic, a plastic wrap should be laid on the floor surface, the minimum size of which is 1x1 m, and the material should be well pressed at the edges with heavy objects. After 3 days, the film can be checked for the presence of vapor on its inner surface. If condensation has not formed, then you can begin cutting plywood and its subsequent installation. There is a flaw in the plywood that is called internal stress. This may cause the material surface to not always be flat. This feature should be taken into account before laying - the material will have to be cut into small pieces of small size, which will allow you to equip a flat floor. It is preferable to cut the material in squares with the following dimensions: 0.75 or 0.6 m. The presence of seams between the sheets will compensate for the change in the linear dimensions of the sheets. The laying of plywood should be preceded by an analysis of the state of the material after cutting. Canvases should not have damage in the form of chips and delaminations. After cutting sheets can be laid on the surface of the base. Now you can mark the sheets that need to be corrected and tailored to certain areas of the room, including: niches, corners and projections. Rough laying of the material will allow you to create a drawing that will be used for the final material closure. 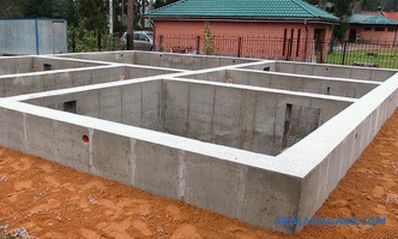 The laying process should be carried out with securing, the different types of which should be given a certain width. Thus, between the adjacent canvases, the seams should have a width in the range from 0.1 to 1 cm, whereas between the coating and the wall, the seams should be given a width in the range from 1.5 to 2 cm. Sheets should be numbered before final installation, which will allow correctly position them in the process of sticking. 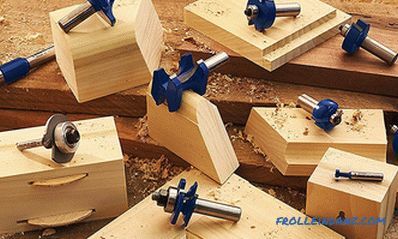 If you are thinking about the question of how to glue plywood, then you should know what to use for this should be a special compound that should be applied in tandem with dowel-nails. Laying plywood can be made on the composition, made of water-based. An alternative solution will be solvent-based or two-component blends. The safest for humans is a water-based formulation. 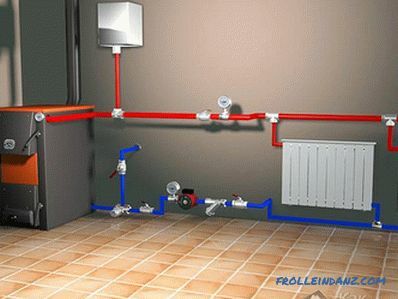 In the process of use, it does not distribute the smell, and its preparation involves the use of pure water. This mixture is used as a primer. However, it is worth considering that the use of such a composition entails its rather long drying. If you decide to glue the plywood on the composition, which is based on the solvent, then you will have to make additional saturation of the screed primer. In addition, the work will be accompanied by a persistent unpleasant odor. But such a composition dries for a maximum of 5 days. Layout of plywood on the screed. 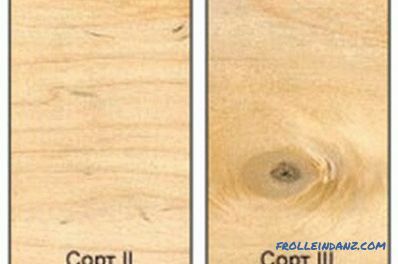 If plywood is to be laid in a short time, then a two-component adhesive is recommended. And already after 24 hours, you can start grinding the surface of the base. In some cases, this compound in a tandem with an epoxy primer can be used on a concrete base, which did not have time to dry to the end. Two-component adhesive, unlike water-based or solvent-based compounds, does not imply the additional use of dowel-nails. The laying process is preferably carried out using adhesive compositions of the Artelit and Uzin grades. A spatula is used to apply the adhesive. Some masters attach plywood to the screed, without first grounding the base. However, you are not skeptical about this process, since the primer can eliminate even the smallest dust particles, make the foundation more durable, improve the adhesive characteristics of materials, and reduce the amount of glue used. In addition, priming can prevent excessive moisture. Plywood should be laid immediately after the priming process of the concrete base is completed. The distance between the sheets of plywood should not exceed 0. 4 mm. Before gluing the plywood to the floor surface, you should first mark the location of the holes in the base, corresponding to the markings to be made on the plywood blanks. Next in the concrete screed, you need to equip the holes on the markup. 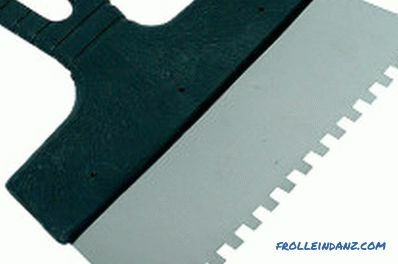 Now you can start applying glue to the concrete base, for which it is necessary to use a notched trowel. On the layer of the composition you need to lay a plywood sheet, and then roll the sheet with a heavy roller. The canvas should be further strengthened by means of screws and dowels. The same technology should be applied for laying all subsequent sheets of plywood. Plywood should be covered on a layer of composition, the thickness of which should vary from 2 to 3 mm. The material needs to be drilled for fasteners, retreating from the edge of the canvas by 2 cm, whereas the pitch between fasteners should be equal to a distance of 15-20 cm. would drown in the body of the workpiece with a hat. After laying the plywood needs to be sanded, for this you should use a special grinding machine that has a rough emery coating. After this process, the plywood should be perfectly flat and smooth. The floor must be devoid of errors, which in some cases may appear in the places where the kerf is held. Laying plywood does not always allow you to get a surface without a height difference between the sheets; these problems can also be solved by sanding. The leveling of the plywood can be checked with a rail that is 2 m long. After laying the rule on the floor surface, it will be possible to determine if there are differences in height and gap. If there were gaps between the floor and the bottom surface of the instrument, the width of which exceeds 2 mm, the work was done poorly. And if the gap is within the normal range, then you can begin to lay the finish coating on the rough substrate. 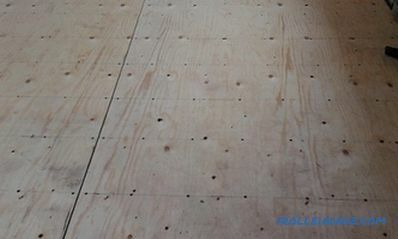 Waterproof plywood can be laid on the screed, which is designated by the abbreviation FC. In its composition, wood veneer, which is glued together with resin-based compound, should not contain phenol. 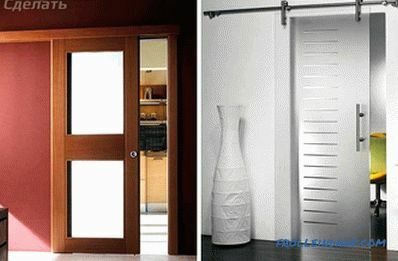 Such plywood is quite widely used in the living space. Laying unpolished plywood (NS) provides for the need for polishing after the completion of laying. The screed can be laid material that is polished only on one side. It is recommended to mount the plywood, the thickness of which is in the range of 1.2-1.5 cm. Sheets on the screed should be laid with a certain displacement, avoiding joining four seams in one place. The screed must be cleaned of the resulting construction debris, which appears after the application of putty, painting and other works, before laying the rough coating. Remove dust from the base most effectively with an industrial vacuum cleaner. A primer or primer should be applied to the screed with a wide brush or roller. 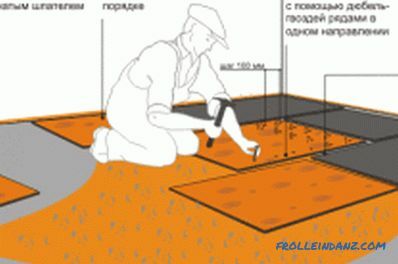 The screed must be reinforced with plywood screws, the length of which is more than 3 times the thickness of the base. It is necessary to have fasteners when fixing plywood to the screed, not only along the perimeter of the canvas, but also diagonally. A layer of waterproofing can be laid on the screed, which can be made of dense polyethylene, glassine or similar materials. It is permissible to lay a thin polyethylene foam substrate under the laminate on the screed. Its cost is not so high and varies from 15 rubles per 1 m 2 , and this material provides excellent thermal insulation. Before laying the plywood on the screed, the web should be covered with varnish in several approaches, at least 2 layers. In this case, special attention should be paid to the ends. Sheets processed in this way will not become deformed. After the plywood has been reinforced to the screed, it should be left to dry, then you can sand and protect the substrate, preferably it should be made of waterproofing material. On such a cake will lay fine finish. Not in all cases rigid mounting of plywood to the screed is advisable. 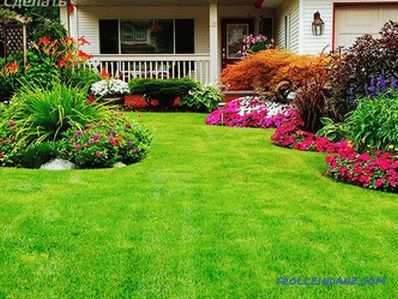 You should not cut a solid canvas into overly small sheets, which is especially true for the premises of city apartments, whose area is not so large. This will only increase the amount of work. If after laying the cloths on them it is planned to cover thin linoleum, it is recommended to fill the seams with sealant. Its ductility will not interfere with thermal expansion, and the seams will not be forced through. Plywood can be an excellent solution if it is necessary to level the surface of a concrete floor in a short time in order to further lay the finish. Such work is not only effortless, but also does not cause large financial investments. And even the master who has no experience in this area will be able to align using the above described technology.